Thinking back. Whether your ‘old time’ memories of South Jordan go back to your first walk around Oquirrh Lake in Daybreak – or really go back to swimming in the Beckstead Canal after a long, hot day weeding row crops on your family farm … this city has been the place for activity and experiences that will be with us to our graves. Now think way back, oh say to the year 2009. Our city boasted 49,000 residents and about 12,000 homes … and 50 police officers. Fast forward six years to the present where 18,000 homes shelter 64,000 residents (increases of 31% and 50% respectively) … and we have the same number of police officers … 50. Any increase in crime has been negligible during this period of growth which points to a Circle of Civility we enjoy as a community. Without clear actions, our current ‘balance of safety’ is not assured. Consider this: the TOTAL property tax our city collects is $8.9 million which only covers 85% of our city’s safety costs – both fire and police. 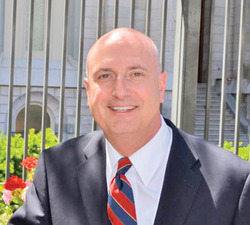 While we currently have sufficient resources, it is imperative that we a) preserve ALL property tax revenues for public safety, and b) adequately fund police, fire, and public works for level-of-service delivery we presently enjoy and should expect to continue. 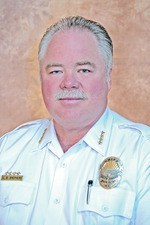 Retired South Jordan Police Chief Lindsay Shepherd. Two dogs down. Both of the South Jordan K-9 police dogs, Luther and Harley (both Belgian Malinois – confident, hardworking, smart and loyal) have been retired over the past few years. They were not replaced as Police Chief Lindsay Shepherd devoted budget resources to maintaining core safety services. We’ve gone to work on the issue of retaining our safety personnel. On December 16 our City Council passed Resolution R2014-104 to establish competitive ‘step pay plans’ for our police and fire personnel. Additionally, three years ago the City Council approved a sustainable fleet replacement program for public safety vehicles. We appreciate our public safety officers, and want them to apply their years of training to our continued safety. A final salute. After 31 years of service to South Jordan, Chief of Police Lindsay Shepherd retired on May 1. It was my honor to present him with his service revolver at the ceremony. Given the fact that in over three decades of service Chief Shepherd never fired his gun (other than at the practice range), I quoted Lao Tzu, founder of Taoism: Mastering others is strength. Mastering yourself is true power. Chief, may you live long and prosper. Our community is forever blessed for your selfless service and the self-mastery you have lived and taught throughout your years serving our South Jordan residents.